Denise Covey: #IWSG day is the day for The Snowman blog tour--my guest, Yolanda Renee! 10 Top Warning Signs for when your publisher is not into publishing. And 5 things NOT to do when publishing your book. 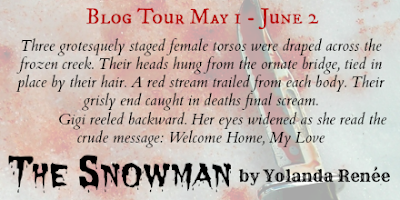 #IWSG day is the day for The Snowman blog tour--my guest, Yolanda Renee! 10 Top Warning Signs for when your publisher is not into publishing. And 5 things NOT to do when publishing your book. Hi Yolanda. 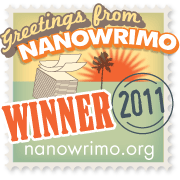 After that gory introduction above, welcome to my blog today. 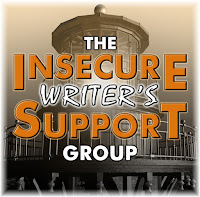 Today, it's IWSG day, but on my blog, it's all about you. I'm beyond thrilled you've decided to go with this hot button issue which I know has caused you a truckload of insecurity over many months. The best we can hope for is that this cautionary tale will prevent other authors falling into the trap. The IWSG is Alex J Cavanaugh's dream child. 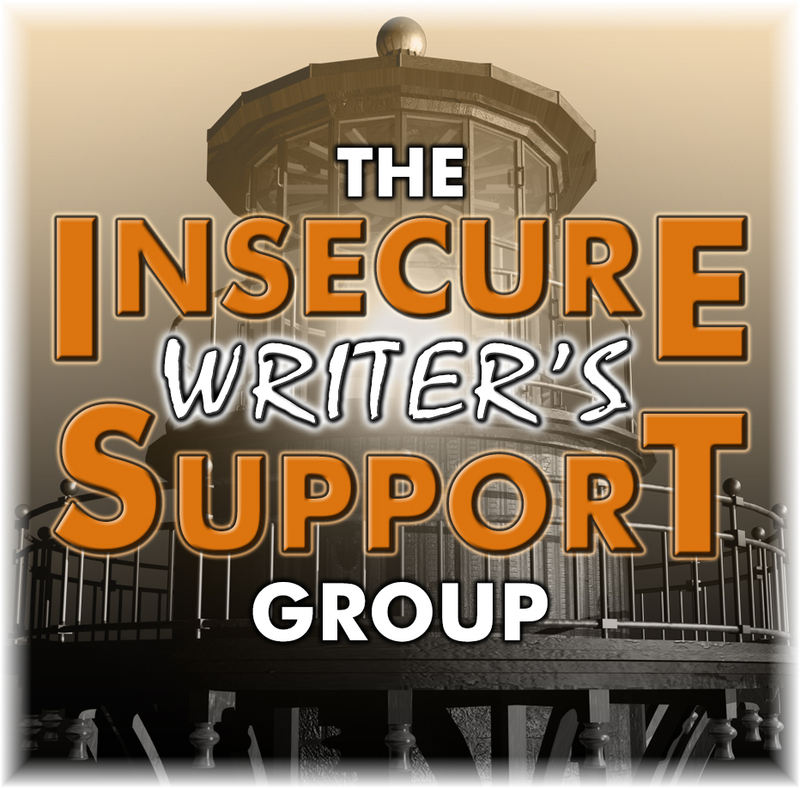 His awesome co-hosts for the May 3 posting of the IWSG are Nancy Gideon, Tamara Narayan, Liesbet @ Roaming About, Michelle Wallace, and Feather Stone! Thanks Alex and ladies. 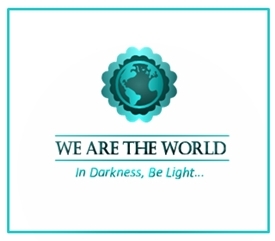 Readers, please visit them if you can. Top 10 warning signs your publisher is not into publishing. 1. Professional edits are not performed. 2. Proofreads are not completed. 3. Book signings are not scheduled. 4. News releases are not released. 5. Correspondence is not answered. 6. Promised markets are not delivered. 7. Continuous excuses are made. 9. Schedules are not honored. 10. Royalty checks get ‘lost’ in the mail. Today, anyone can open a business, even a publishing business. It only takes minutes to get an EIN - Employer Identification Number. This is required in the US to open a business – it’s different for each country. And if you have the patience for formatting you can publish your book, or someone else’s book – Amazon makes it simple! I reissued all three of my formerly published books, after regaining the rights, on Amazon as a Kindle, and then as a paperback in one week! Note: I had experience with self-publishing and knew the process. But Amazon gives explicit instructions, and anyone can do it! If you can do this, you can become a publisher, and sadly, this is what is happening daily. Many new publishers are popping up overnight, and with just these simple skills they can take 50 to 60% of your profits – royalties, and give you pennies on the dollar – deducting for so called edits, proofreading, cover design, etc.! Anyone can apply to Ingram Spark and other book release sites. These steps are simple and while time consuming – once learned, very simple. The point – anyone can open a publishing company, and many have. The list above is just a small sample of the things that can go wrong when the company is only in the business to make as much money off a novice writer as possible. If a company has opened its doors overnight – you may get a professional looking contract, but if the actions on that contract aren’t followed, you have a piece of paper and nothing more. My advice, learn the process, self-publish at least one book on Amazon and see for yourself how simple it really is. This is eye opening and empowering. Good luck! Top 5 things not to do when releasing a new book. 1. Do Not Decide to Sell your house! 2. 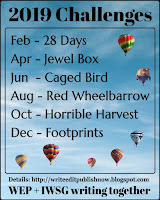 Do Not Sign up for the A to Z Challenge. 3. Do Not Re-publish your first 3 books in a week. 4. Do Not Hold two - 3-day long garage sales to get rid of all your crap. 5. Do Not Schedule a blog book tour covering 30 days that require your undivided attention and multiple guest posts! Yes, I did all this during the month of April. Believe me – you DON’T want to follow my lead! Denise, thank you for hosting me during the Snowman tour. Readers, thank you for coming by and reading. I hope I've helped someone who might be going through what I did. A NOTE FROM DENISE: I was disappointed to see the website, Predators and Editors virtually closed down. Where do writers go for updates on dodgy publishers now?? Anyone?? If you don't mind sending your heart rate sky high, if you don't mind trying to read with your eyes closed, if you don't mind feeding blood-fuelled nightmares, The Snowman is the book for you. At the other end of the spectrum, if you like a roller-coaster ride of mega proportions, if you like a fast-paced psychological thriller, if you like to delve into the criminal mind, this is the book for you. Excellent racy writing by the author, Yolanda Renee. Well edited - don't those two words bring joy to my heart! 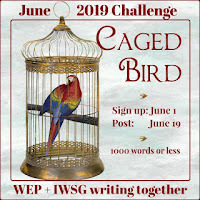 There's a GIVEAWAY you can enter, HERE...open until June 6. 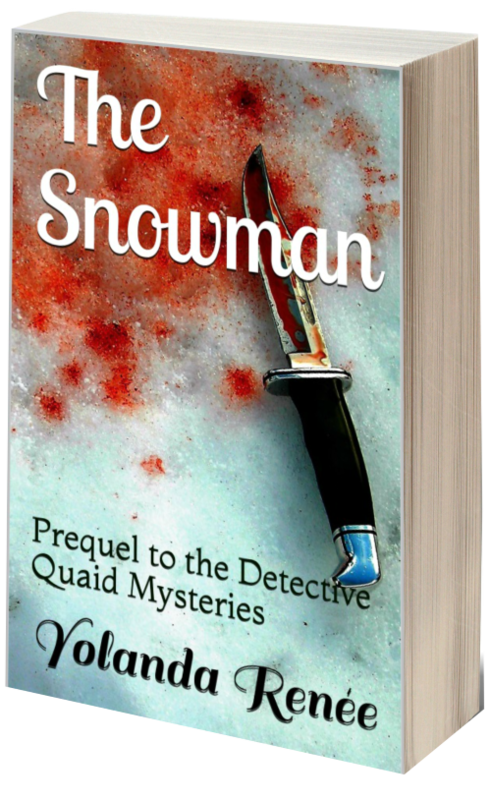 Should you love The Snowman, Yolanda has 3 books in the Detective Quaid series she's recently republished on Amazon. HERE is a link to ALL OF HER BOOKS! Has your publisher ever let you down? Have you read any of Yolanda's thrillers? Don't sign up for the Challenge - too late! I did that one year during a release. I've been fortunate with my publisher but I imagine it can go really, really south fast. LOL, it's all become too much! But hey, I got my top ten done you should receive it shortly! Thanks, Alex! In 9 years, DLP has had only one staff change. Not bad I guess. Book signings are fun, especially in a bookstore, where your books are sitting on the shelves. One in 9 years is great! Thanks for the advice, Yolanda. It is sad how publishers who aren't qualified open and take writers money and then close or get them excited about what they can't give. And I heard that Predators and Editors closed because the people who maintained the site no longer had the time. It is sad that it closed. Red flags all of them. I know not all small publishers are taking advantage, but just one is one too many. Thanks, appreciate the opportunity to discuss the issue. I hope it makes a new writer think twice, or at least do their research. Your review is awesome, thank you!!! I read Murder/Madness. Interesting characters. I'm looking forward to reading the prequel. You were sure busy during April Yolanda. Just wanted to exhaust yourself in one month, then hibernate the next 11 months? Hope you enjoy the prequel! Writing the book first is always the best way to proceed, but yes, friends in the blogging world are the key! Good luck! Thanks for sharing your experience, Yolanda. And many congratulations on all your achievements to date. I love your new book covers! I hope all is well with you too, Denise. Have a lovely week! Thanks for following the tour! All is well. Thanks Nicola. All's well here. I had to laugh. I too sold my house while releasing a book. Big big mistake!! As a reader we sometimes forgot all the hassles an author has to go through to get their books published. Great tips, Yolanda. Denise, thanks for being a part of Yolanda's tour. I'm one writer who has made all the mistakes possible. I don't think life would be 'normal' for me if I didn't. Thank you, Mason, this tour wouldn't be - without you! My pleasure Mason to help a mate. Hey thanks for the heads up on some of the things to look out for with publishers. I am now in the process of weighing my own options and very seriously thinking about self-publishing. It's a great idea, and no longer has the same stigma as it did just a few years ago. I say go for it and control your destiny! Yep, that is why the cat and Pat stick to doing everything ourselves, no scammers to deal with. That and we don't have the patience to wait and wait and wait lol Damn, you sure had a lot on the go. Hi, Pat. Yes, control is key right now! Wow, I don't know how you made it through April! Thanks for the advice on self-publishing. I am thinking about taking that leap but know I have lots to learn first. Can't wait to read The Snowman as I know it will be another awesome story from you. It's not difficult but definitely time consuming, but having control is less stressful than waiting for replies that never come. I hope you enjoy The Snowman! Oh my gosh, Yolanda! You sure did have a lot going on! But you did it! Thanks for the publishing tips. It's a shame how people will take advantage of people. Another reason to love this blogging community of ours. Fab list of Writers Beware! That's where you really need to do your research! So true, Nancy! So true! Awesome, awesome. I ALWAYS do my research into publishing houses before any serious interactions. There are hidden Facebook groups that discuss publishers. I've heard too many horror stories from friends about their publishing experiences. I've got my own black list of publishing houses, and if I haven't read at least one book from them that felt well edited, there's no prayer I will even entertain a contract. It's on the author to be in the know--which is easier if you've got a specific genre of publishers in mind. Good for you, more caution, always! Don't most scams begin with you winning a contest? Just like my journey did!!! Wow! You're right, Denise, no more Predators and Editors. 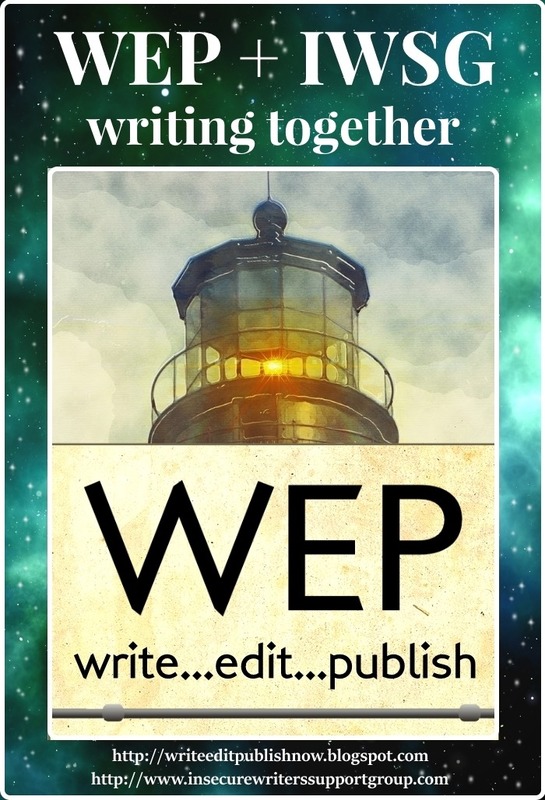 Writers will need to become savvy from each other. Thanks for sharing this information with us, Yolanda and Denise. All the luck with your blog tour and book, Yolanda. Victoria, one of the problems is that writers are shy of telling the world of their bad experiences. Afraid of being sued and so on. But by sharing, it's a word of caution. Yeah, all that at once was a bit too much! Thanks! Great lists, Yolanda. Sorry about your lousy experience with a publisher. You're a heroine to accomplish so much. Good luck with your tour. No, more like a fool for trying too, but if I can get through it without too much damage, I'll feel great! Thanks! Great warning signs. Sorry you had to find that out through experience! It seems to take a few hard knocks to get my attention! Hi, Lee! Thanks for stopping by! I am so sorry you went through all of that with your old publisher. You are your own best publisher, Yolanda. When Seismic Crimes came out during A to Z in 2015, I didn't participate, but I did get people who were participating to promote my book for S day. ;) When a book is released, it does take a lot...and a lot out of you. You do need to make your days simple. I think so too, Chrys! A to Z is great unless you're already swamped! Yes, it does, there's so much to do and it's so easy to forget a key step - like having a cover reveal, or publication day announcement! Etc. Yolanda: That did not sound like fun. Thanks for all the good tips. I guess you just like to be busy busy? lol. Dx: this is the third time I've been here to leave a comment. Blogger is having problems finding you. Probably me, not you. Hope this posts. Have a great weekend. Gah, Donna long time since I've had a 'difficulty leavning a comment comment'. What can we do? I'm sorry as I always feel I'm wasting my time when that happens, yet you want to show your buddies you've visited...Thanks for persisting. And Yolanda, no hospital room jokes! You left one out, Yolanda. DON'T schedule your yard sales for rainy days. And yet, and yet... you somehow managed to do it all. I'm proud of you, kiddo. I scheduled for sunny days, but the few rain clouds there were - found me! LOL I'm serious. My husband works just a few miles from our house, and he saw NO rain - it poured on me and my garage sale - not just once but 3 out of 6 days! LOL Just my luck! Hi, Susan, welcome back! Thanks! I hadn't really considered the rise of self-publishing allowing for the creation of dodgy companies. Quite alarming stuff, thanks for the tips! Best to go it alone and keep control than go that route - like you say, the steps are fairly straightforward once you've done it a couple of times. Looks like the release is going well, but you did have a particularly busy month! Yes, it is alarming and the unsuspecting novice is the one getting caught. I was once one! ;) But no more, although I fear naiveté is a trait I can't overcome, been haunting me all my life. :) Still do, but I see the light at the end of the tunnel, finally! Thanks for stopping by - see you later this month! Great advice, Yolanda, although thus far, I've proven myself to lazy to self-publish. Frankly, I'm impressed you're still standing after the April you had. Well done, you! The Snowman sounds terrific. I love psychological thrillers. I hope you pick up a copy - or better yet, win a copy! At least Yolanda managed to do all those things in one month - it would have taken me 6 months! I had a disappointing experience with my first publisher too. Luckily my 2nd publisher (Freedom Fox/L. Diane Wolfe) was excellent. I self-pub too as an experiment. So far my Freedom Fox book is doing much better, but I'll stay a hybrid author. P&E is GONE??!! On no! Still moving forward, but yeah, self-publishing for now. With Diane and Freedom Fox - you are one of the lucky ones! Great house! Thanks for stopping and commenting. Yeah, P&E - sorely missed! Oh my! I can't believe you did all that at the same time. You must have been exhausted. I love the book covers. And The Snowman looks delightfully gruesome. I am thoroughly amazed at how much you, Yolanda, managed to get done over April. And the 10 points listed are somewhat scary. It's so easy to mislead! and to be misled! Best of luck with The Snowman! I totally love your new covers, btw. I'm shocked too, but hopefully next week I'll be back at the beach. :) Fingers crossed! Thanks! I'm appalled at the amount of warning signs...not two or three...but TEN WARNING SIGNS!? Scary. Yolanda, you must be a thoroughly organized person to have accomplished all that in the month of April. Good for you! I'm getting there! As for all the signs, I'm a slow reactor! :) Sometimes just don't want to believe what's in front of my face! Congratulations Yolanda! And thanks for sharing your tips and those scary warning signs! Thought it was all me, then the financial issues, became issues! Oops! Wow, that is one gory intro! :) Good luck. Thank you for those tips. Pretty scary signs. This one is a gory one. I should have reacted sooner, but it's sometimes easier to ignore the elephant in the room than you think - until your realize it's not an elephant but a vicious meat eating monster!